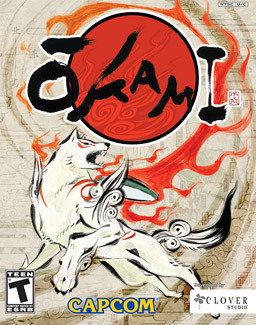 Ōkami is an action-adventure game in which players control the main character Amaterasu, the sun goddess incarnation of Shiranui, the white wolf. The game draws heavily on Japanese folklore and mythology, and features a unique woodcut/watercolor art style. Another unique feature of the game was the “Celestial Brush” which allowed players to paint into the game world to solve puzzles and fight enemies.